With all the fuss around the pre-IFA announcements today we almost forgot to introduce you to a dear guests we had at our office. The Sony Ericsson Live with Walkman Android smartphone came by and while it refused to stick around for a preview, it at least posed for a bunch of live shots. 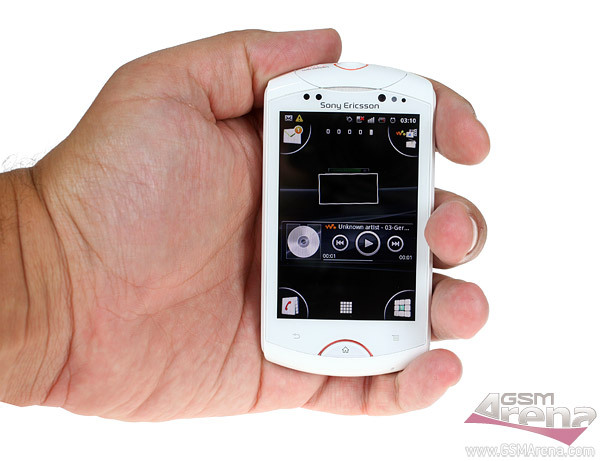 Not that a preview of the Sony Ericsson Live with Walkman is so vital. The hour or so we spent with it almost entirely convinced us that this is simply a Sony Ericsson Xperia mini with a slightly larger screen and a Walkman button. But that comment should in no way be understood as a critique to Sony Ericsson. We loved the Xperia mini and we are pretty sure that this one will be equally good. So the users get to pick between two great handsets with different screen sizes instead of only getting one option. Feel free to share any thoughts you have on the Sony Ericsson Live with Walkman in the comment section below.